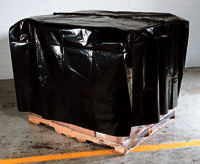 Conceal and protect contents during shipping, construction, or storage. Perforated on rolls for fast, easy dispensing. Contains recycled content.